Norwegian officials claim they’re “closely following” Russia’s sudden and dramatic show of military might in the Arctic, which they say Russian President Vladimir Putin ordered with no warning. Putin’s dramatic response to a much smaller military exercise going on in Norway, which Russia was informed about in advance, comes just as Norwegian military experts themselves say their own forces can’t defend Norway in the event of an attack. 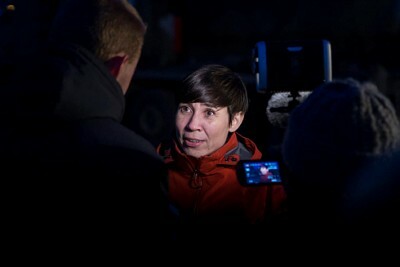 Both Norwegian Defense Minister Ine Eriksen Søreide of the Conservative Party and Anniken Huidtfeldt of the Labour Party, who heads the foreign relations and defense committee in the Norwegian Parliament, said they’ll also be watching to see whether Putin violated international regulations by ordering the massive military exercise on its Kola Peninsula just over the borders of Norway and Finland and in the Barents Sea. There’s no requirement to announce military exercises if they’re aimed at testing preparedness, they say, but military experts claim that if the exercises involve aircraft and army troops, the lack of an announcement would amount to a violation. While Norway’s Joint Viking exercises currently underway in the northern county of Finnmark involve 5,000 troops and have been planned since 2013, Putin suddenly ordered exercises when he reemerged in public on Monday that involve around 40,000 soldiers, 41 battleships and 15 submarines, according to Russian news bureau RIA. He’s mobilized Russia’s entire northern fleet including aircraft and paratroopers based in Murmansk. It’s all alternately viewed as a massive overreaction and another indication of Putin’s need to mount a show of force for his Russian constituency, to reinforce the image he’s building of a Russia reasserting itself as a major power. 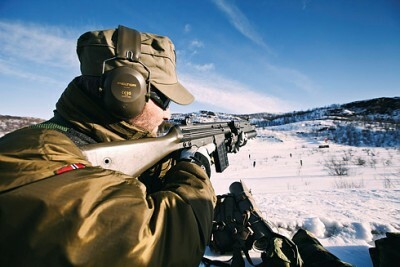 “This is completely in line with the Russian military doctrine,” Norway’s former defense chief Sverre Diesen told NRK. Diesen added that Putin’s claim about making sure Russia’s nuclear weapons were in a state of readiness during his highly contested annexation of Crimea last year was aimed at frightening his western neighbours. “The intention of President Putin’s remarks is to create fear and anxiety in the west,” Diesen said. Putin is bound and determined to regain the position Russia held when it was part of the collapsed Soviet Union and, according to Diesen, keep his propaganda machine rolling. Diesen dismissed Putin’s not-so-veiled threat of using nuclear weapons, noting that all countries with nuclear weapons must keep them in a high state of preparedness. Huitfeldt said that if there are indications of violations, the Organisation for Security and Cooperation in Europe (OSCE) should be called in. Meanwhile, more Norwegian military experts were all but admitting that Norway’s own military has little chance of defending the country if attacked. Retired Commodore Jacob Børresen told Oslo newspaper Dagsavisen on Monday that Norway’s military is so small and specialized that it would likely collapse quickly if war were to break out. On Tuesday, both theNorwegian officers’ organization and the Nordic Officers’ Alliance claimed that Norway would fall before NATO allies arrived to help defend the country. “Our few battalions, fighter jets and frigates spread over Norwegian territory on land, sea and in the air cannot defend the country alone or keep an enemy at bay until NATO could react and respond,” NOA wrote in harsh criticism of the Norwegian government’s military funding, even though it has been increased in recent years. Rune Rudberg, leader of the Norwegian officers’ organization Befalets Fellesorganisasjon, told Dagsavisen that “the defense we have today is not large enough to be able to defend the country.” Nor are defense capabilities adequate in Denmark, Sweden or Finland, claims NOA. That would indicate Putin and his military officials don’t have much to fear and are likely overreacting with their massive response to Joint Viking. Even Lt General Robert Mood seemed to support Børresen’s criticism of Norway’s military, writing on Twitter Monday that “I wish he was wrong, but a few very good military divisions don’t provide a defense.” Mood joined the call for more defense funding.